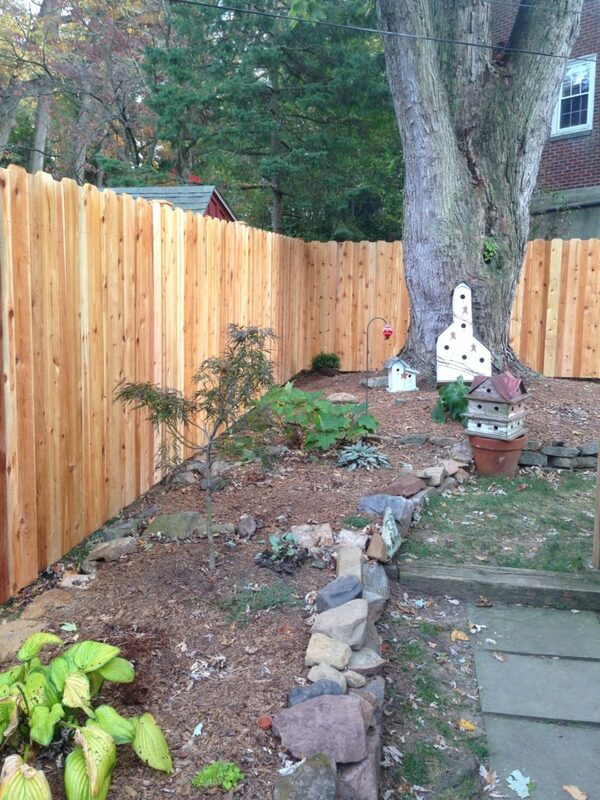 Cedar privacy fence in alternating picket style installed using 1”x 6” dog eared pickets and 1”x 4” flat top pickets. 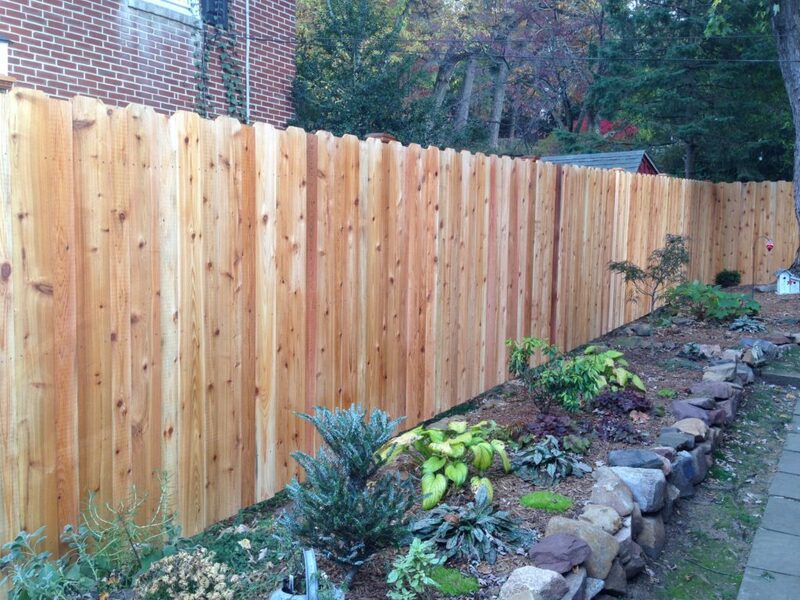 Fence sections measure 6’h x 8’w. Pressure treated posts are cut off below top of fence line making tem ‘invisible’. 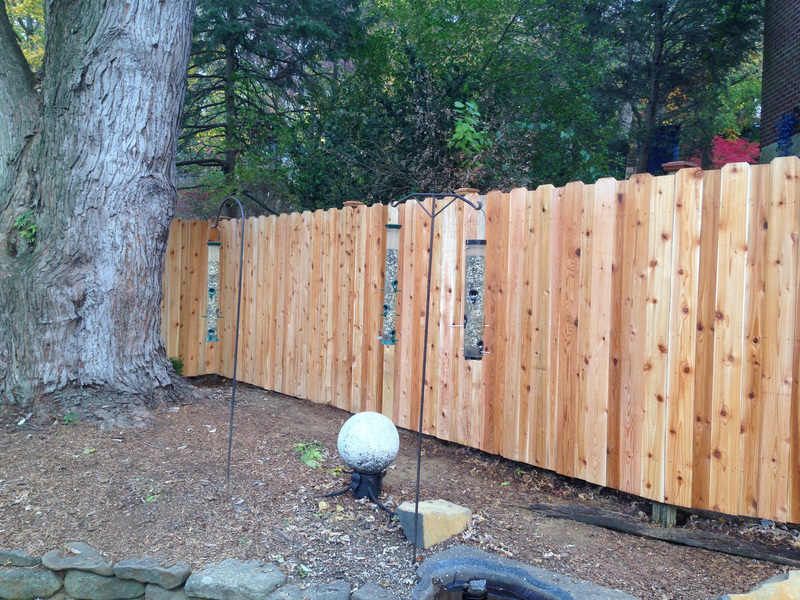 Fence includes stainless nails and clear coat water sealant.